Are breast cancer survival rates higher in the United States than in the United Kingdom and France? Are a patient's chances of dying within 30 days after admission to a hospital with a heart attack lower in Canada than in Korea? Are surgeons in some countries more likely to leave “foreign bodies” behind after operations or make accidental punctures or lacerations rates when performing surgery? The need for answers to these kinds of questions and the value of measuring the quality of health care are among the issues addressed in this publication. Many health policies depend on our ability to measure the quality of care accurately. Governments want to increase “patient-centeredness”, improve co-ordination of care, and pay providers of high-quality care more than those who underperform. However, measuring the quality of health care is challenging. The OECD’s Health Care Quality Indicator project has overcome some of the problems, though many remain. If policy makers are serious about improving the body of evidence on the quality of care, they need to improve their health information systems. This publication describes what international comparable quality measures are currently available and how to link these measures to quality policies such as accreditation, practice guidelines, pay-for-performance, national safety programmes and quality reporting. Why Do We Need Information on Health Care Quality? What Does Existing Data on Health Quality Show? How Can National Health Information Infrastructures Improve the Measurement of Quality of Care? 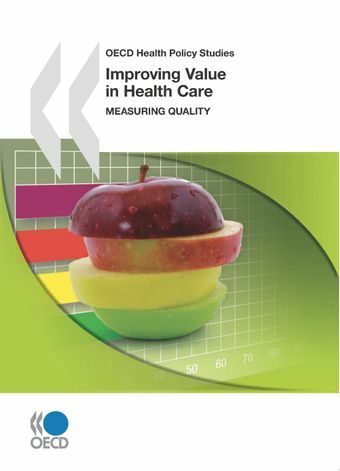 How Can Quality Indicators Be Used for Health System Improvement?